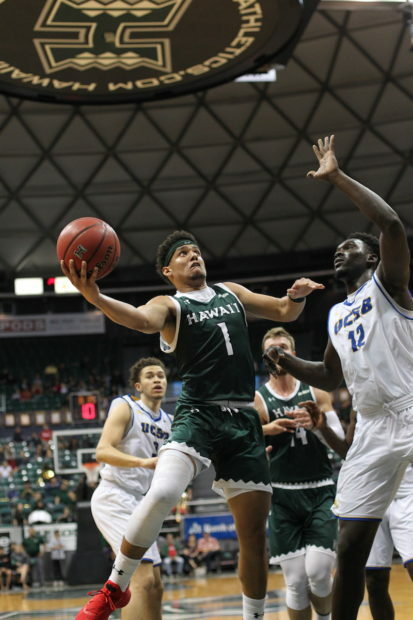 The University of Hawai’i basketball team could have used some of the Chinese lions that performed during pregame and halftime on Saturday night. 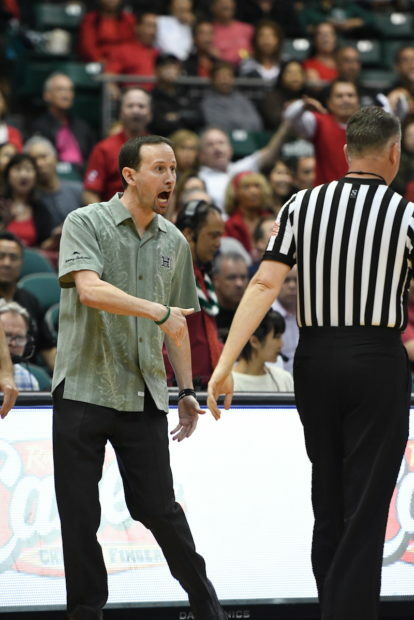 The Rainbow Warriors had little energy and no good luck in a 75-54 loss to UC Santa Barbara. 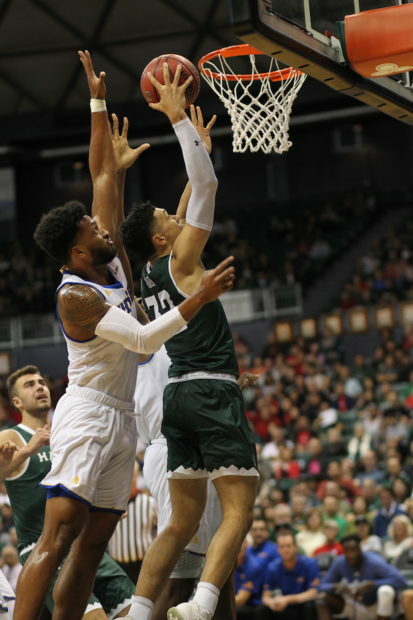 An announced crowd of 6,060 at the Stan Sheriff Center watched the Warriors suffer their worst home defeat ever against a Big West Conference opponent. Hawai’I, which joined the Big West in the 2012-13 season, had not lost at home by more than 14 points to a Big West team prior to this loss. The 21-point difference was also the largest margin of defeat for the Warriors this season, and dropped the Warriors to fourth place in the Big West. Hawai’i is 13-8 overall and 4-3 in the Big West. UCSB improved to 16-5 and climbed into a tie for second place at 5-2. The Gauchos shot 65.4 percent from the field in the second half, and out-scored the Warriors, 45-28, after intermission. Samuta Avea tied his career-high with 13 points, and also grabbed six rebounds to lead Hawai’i in both categories. 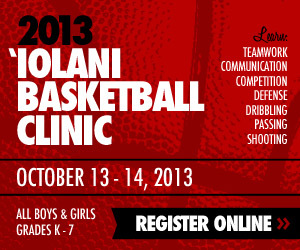 He shot 4 for 7 from the field, including 2 for 3 from 3-point range. 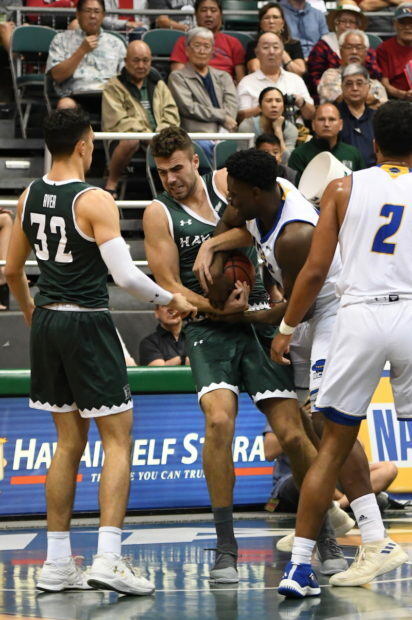 However, the UH starting lineup – Drew Buggs, Eddie Stansberry, Sheriff Drammeh, Jack Purchase and Zigmars Raimo – struggled collectively. They combined for just 28 points on 11 for 37 shooting, including 3 for 18 from 3-point range. Amadou Sow, a 6-foot-9 freshman from Mali, had 20 points on 9-of-15 shooting, and grabbed 11 rebounds to lead UCSB. The Gauchos out-rebounded Hawai’I, 35-26. Raimo, a 6-8 junior from Latvia, finished with 10 points and four rebounds for the Warriors, but acknowledged his subpar defensive performance against Sow. The Gauchos also got 20 points from 6-3 junior guard Max Heidegger. He was a first-team All-Big West Conference selection last season, but had been struggling this season due to various injuries. He was averaging 7.3 points per game prior to the game against Hawai’i. Heidegger also was 8 for 50 (16 percent) from 3-point range prior to this game, but went 3 for 5 from long range against the Warriors. “For a lot of our guys, this was their first win here,” Heidegger said. “It’s really hard to win in Hawaii — they’re a good team — and this is big for us going forward. In contrast, Hawai’i tied its season-low with five 3-pointers, and shot 5 for 22 (22.7 percent) from beyond the arc. The Warriors stayed with UCSB early, and even had an 18-17 lead with 7:43 remaining in the first half. The Gauchos went on a 7-0 run to take a 24-18 lead, and eventually took a 30-26 lead at intermission. The Warriors were assessed 12 fouls in the first half, and UCSB took advantage by going 11 for 15 on free throws. In contrast, the Gauchos were whistled for six fouls and Hawai’i went 3 for 5 from the free-throw line in the first half. Raimo and Purchase were limited to seven minutes each in the first half due to foul trouble. The Gauchos put the game away with a 16-0 run that pushed the lead to 54-33 with 9:54 remaining. UCSB went 7 for 7 from the field during that six-minute stretch, while Hawai’i went 0 for 7. The Warriors’ next two games will be on the road – Thursday at Long Beach State, then Saturday at first-place UC Irvine. Total breakdown. No offense. It was so frustrating watching the game at the arena last night. The guys did not come out with defensive intensity that was present in the previous game. Mr Max had a field day on us and no one could get into his Face. Our guys looked terrible on offensive. Total failure coaching staff and the team. Santa Barbara was well coached and prepared. Their team was also more athletic than ours at the center and forward position. Bigger faster stronger. Period. Breaking down like that.. hopefully this gets it out of their system. Good teams, they’ll make you pay. Shake it off! Let’s go Bows!! I am not ready to throw in a towel just yet. So far UCSB looks like the only team that is head and shoulders better than UH. I think UH can beat every other Big West team on a neutral court and this means UC Irvine too. Have to keep fingers crossed for good brackets in the Big West tournament. Hopefully UC Irvine can beat UCSB in one of the semifinals, and then UH can beat Irvine in the finals.